I know I thanked you for the wonderful lessons but wanted to say it one more time. Thanks to Susan for encouraging me to go into the group in our last session. I had a blast and actually looked forward to getting on my horse. This was big for me because I have been saying to my friends for far too long “When does this become fun?” I really did have fun and no longer was shaking inside and out before getting on. There is so much to learn and that is a good thing. During the last session I had a really good thing happen. I heard Alice say to someone when their horse was fading to the inside, “Shift your weight a little to the outside”. I have heard you say that before. Later in the lesson my horse was fading to the inside and I was able to think about it and use that aid and he responded immediately. The big thing for me was I was able to pull out a tool and use it and actually think about something. Don’t know if I am saying this clearly but I think it was a big step for me. Anyway, must say a big, big thank you to both of you. I loved all the lessons and being able to participate made this last summer the best ever for me. Thanks for a great clinic. Dan and I counted up how many clinics we had taken our mules to and we know we’ve been to at least 12 and 5 of these were with mule” experts”, we learned more at this one then all of those combined. You made things so simple for us to understand even though you truly challenged us in every way. So many times it was the little way you put something that will stay with us the rest on ours lives hopefully. Many ah ha moments and single things each day that were useful in handling our animals. I saw such a change in my mule Lilly and most of all in me so that we can truly be partners and respect one another. Thank you so much for the special round pen session to help me “not Lilly ” pick up the lope. Dan was so pleased with how his mule Buddy was getting things Dan has worked on for 3 years but you put it such a way that Buddy could understand. We loved staying after our class and watching the afternoon class and see how what we were learning would come even more into play as we progress. I loved seeing how if we wait on our animals they will move that hip over and we will get the move but only if we wait. Like Susan told me take the half halt stop take a breath and then move on and that was on ground work but I used that many times and ways this weekend and will continue to use it. What is also interesting is we could see how willing our animals were to respond to the things we were doing. They stayed so relaxed compared to what they’ve been like at other clinics. We have tools not only will we use but our animals will want us to use. I first met Alice and Susan at the Idaho Horse Expo in April 2011 and I instantly knew they could help me on my quest to become a better horsewoman. I spent my spring, summer and fall riding with them every chance I could in Idaho and in Haines. By incorporating their principles into my riding and horsemanship, I’ve become a more confident and skilled rider and have strengthened my relationship with mare, Rita. Before I met Alice and Susan, I was reluctant to step out of my comfort zone because I lacked the tools to help me get through the challenges. In early November I had the opportunity to help move about 100 cows by horseback to their winter ground. We started the day riding in light snow before the sun was up and rode over 20 miles by day’s end. 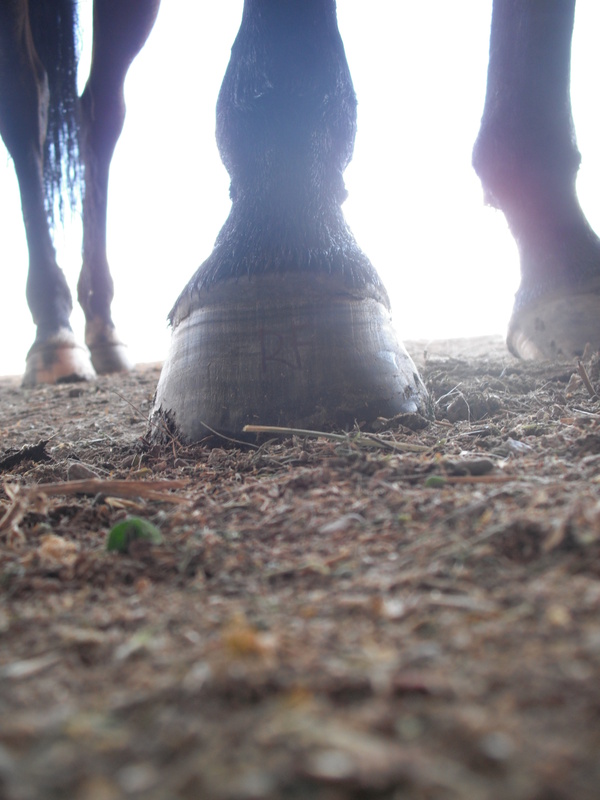 My mare does not like to be anywhere but in the lead and, of course, we were tasked with bringing up the rear. Although the day was not without its challenges, I not only survived, but I had the time of my life! The techniques and philosophy I’ve learned from Alice enabled me to work Rita through her moments of insecurity in a way that provided leadership, not punishment. A year ago I never would have considered embarking on this type of adventure. Thanks to Alice’s willingness to share her incredible understanding of our equine partners, I am moving forward down the path of my dreams instead of continuing to sit in a state of limbo. I cannot thank TNT Horsemanship enough for sharing their gift with me.